Mavic Freehub Body Kit Ed11 B9 Campagnolo. From 2013 is compatible with 8/9/10 and 11 speed Campagnolo. This freewheel body supercedes the Ed10 freewheel body. The kit consists of the freewheel body, internal washer and bushing to facilitate both 8 and 9 mm diameter axles. Note When installing the new freewheel body to older wheelsets it is necessary to mount the silver bushing. If changing freehub body from Shimano to Campagnolo 11 speed you will also need to purchase a Mavic ED11 cassette spacer. Yes you should be able to do that without a problem, however as we do not stock that particular wheel we cannot say for certain I'm afraid. Is this all I need to change a 2017 Aksium hub to 9 speed Campagnolo? I'm worried that I need other bits to make it work! I'm reticent to buy it without reassurance! As we do not stock that particular wheel we would have no way of checking so we cannot say for certain im afraid. Do you sell the bushing required to fit to older kysrium wheels separate? Unfortunately we do not have this part. Can i use this with 2017 Mavic CU? old version campy freehub body is not correct 2017 Mavic CU. Yes this should fit your Cosmic Ultimate wheel. This should be the correct part to fit your wheels. I am going to change a Mavic Ksyrium Elite 650c rear wheel (circa 2007) from Shimano to Campagnolo 11-speed. Is this the correct free hub body to use? Yes this is the correct free hub body. Can I Use This With Mavic Ksyrium? I'm looking to change my [approximately 10 year old] Mavic Ksyrium SSC SL wheel from Shimano 10sp to Campagnolo 10sp. Is this the correct replacement freehub please? 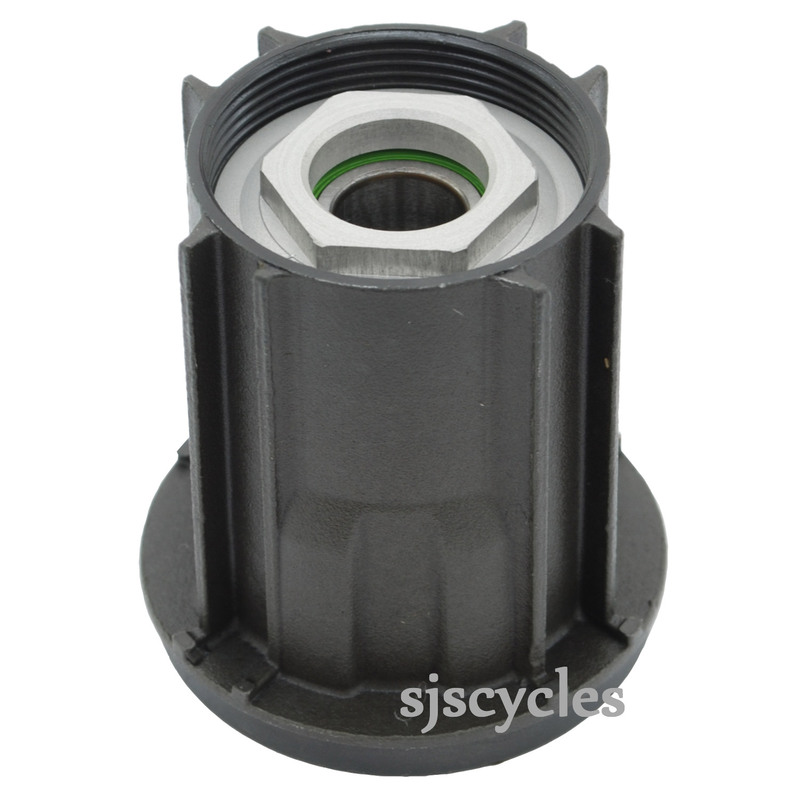 This freehub body should share the same fitting as your current freehub body so it should be fine for use with your wheels.